It's time to investigate value pricing. 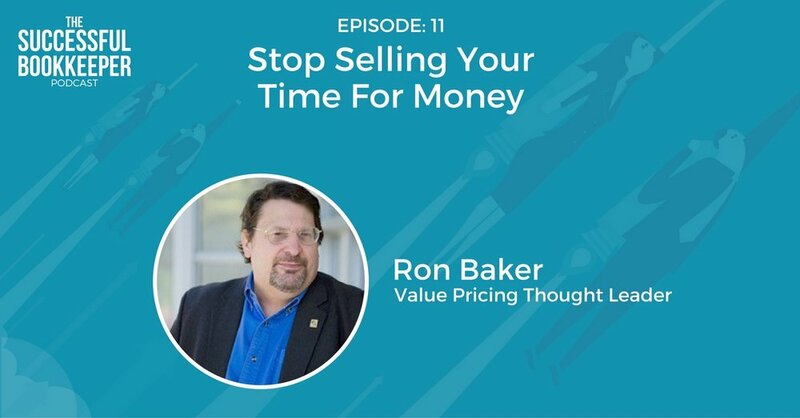 Ron Baker has devoted his life to eliminating the billable hour and time sheets. If you're a bookkeeper that depends on those things, you might be concerned. But, Baker has an alternative. He is an expert on Value Pricing where he believes set prices for services should be presented upfront to customers. His movement is catching fire and may be something that could help you. To find out more about Ron, visit http://verasage.com/ronald-j-baker/. To listen to his podcast, click here - https://www.thesoulofenterprise.com/.